There is an intergenerational democratic deficit, most obvious in voting statistics. The Electoral Commission reports that only 62.7% of enrolled voters aged 18-24 voted in 2014, in comparison to 86.3% of enrolled voters aged 60 or older. This situation looks even worse when we include the fact that only 66.4% of 18-24-year-olds are enrolled in the first place, in comparison to 97.3% of those aged 60 or older. 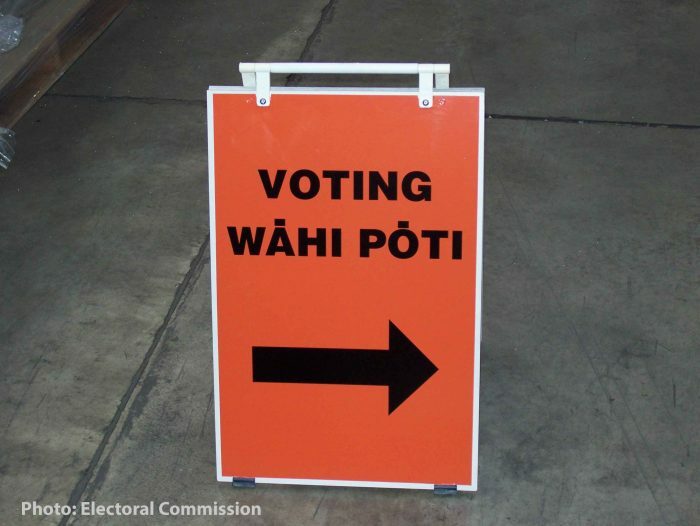 When taken as a proxy for active participation in New Zealand’s democracy, this enormous difference leaves vast swathes of young people out of the political process. This disparity has not been unnoticed – there have been plenty of “get out the vote” efforts, ranging from rock concerts to social media campaigns, yet the 2014 general election still only attracted 78% overall turnout, a far cry from the 1980s when more than 90% of the electorate voted. So are these efforts not working? Research in the UK claims that young people are not merely ignorant or lazy, but actively disillusioned by conventional politics, saying that politicians do not achieve good outcomes for them, that they are often disregarded as naïve or uninformed on topics that influence their lives, and that politics as usual is slow, formal, and uninspiring. Political marketing campaigns that merely say “voting is important, so vote” are insufficient to change consumer behaviours. In fact, research suggests that there are two primary drivers for improving civic participation from a young age: the influence of family, and civics education. At a recent New Zealand Political Science Association Workshop, the critical role that grandparents and parents play in fostering an understanding of civics and politics in children was discussed. The International Civic and Citizenship Education Study (ICCS) in 2008 revealed a strong relationship between the level of civics understanding at a Year 9 level and the highest level of parental education. Parents that are more educated tend to spend more time being a source of news for their children, and explain what is happening in politics and why. Of course, this can perhaps simply be explained by the fact that more highly educated parents are more likely to be invested in following politics themselves. At the same time, there are concerns that this can lead to a lack of critical thought, less politely called “brainwashing”, with children often imitating their parents’ voting behaviour. Unfortunately, the influence of family is likely to continue to decline as social media becomes the primary source of news for many young people. The disparate nature of social media, coming from a variety of sources that may be biased or unreliable, leads to young people often receiving a skewed and incomplete view of the wider political picture. It is difficult for any government to enforce parents spending more time explaining politics to their children, so from a policy perspective, we must focus on the other main driver – improving the quality and access to civics education. One of the biggest problems faced by civics education organisations is that political literacy is often seen as an extra-curricular activity, something just for the “smart” or “outspoken” students. Opportunities are often only offered to academically excelling students, and adding the element of prestige and competitiveness to events like Youth Parliament can disempower the vast majority of students who never get the opportunity to engage. Dr Bronwyn Wood of Victoria University argues that students grow up in inherently undemocratic environments – such as schools – where there is little transparency or accountability from the power structures around them. Additionally, while civics education is in the National Curriculum, there are no nationally mandated specific requirements, with the argument that schools and teachers are best placed to create locally appropriate classes that best meet the needs of their students. As a consequence, there is evidence to suggest that teachers do not consider citizenship to be a key goal of the social studies curriculum. Teachers are reluctant to implement more critical and participatory approaches because the preparation time/cost is expensive and/or the risk of offending students (or parents) is too high. Ultimately, this has led to a massive inequality in civics understanding – while New Zealand has a level of civics knowledge (based on the ICCS) that is roughly average for the OECD, we have the largest range, meaning that some students know a lot, but others know very, very little. There are two main approaches to address these problems from a policy perspective. One is to focus on improving the ability of schools to provide high-quality civics education. Boosting teacher confidence and capacity is critical for supporting local curriculum development, with the provision of better professional development opportunities. There is a role for universities and public sector organisations where expertise is held, to more actively educate teachers on how to best approach civics education effectively. A huge variety of civics education resources have been made, but low awareness has led to underutilisation. Alternatively, there have been calls for compulsory civics education for senior students, and more specific requirements for civics education in general, to effectively force schools and teachers to implement effective civics education programmes. The second approach is for specialist grassroots organisations to help meet the gap in expertise and accessibility. This goes beyond “knowing things” or “learning facts” and means finding new and engaging ways to provide skills-based opportunities rather than throwing words and words and words at students. One way is through the creative use of technology, something that is perhaps best exemplified by Massey University’s Design+Democracy Project. The digital space is where the majority of young people now spend much of their time, and it is an important part of bringing civics education to them rather than trying to motivate them to reach out themselves. ActionStation’s online work has shown that young people are not apathetic, and may just need less traditional ways of expressing themselves. Another way is for these organisations to go out to schools and community groups to run workshops, with the goal of reaching every last student in the country. This provides opportunities for teachers to supplement their courses with outside expertise and resources, and expands beyond schools to youth organisations, cultural groups, churches, and more. Making these workshops low-cost or free and easy to access removes the most critical barriers for the vast majority of students. Some work has already been done in this area, but it is mostly limited by volunteer capacity and restricted marketing; large-scale results can be accelerated with the injection of more public funding. The policy response can move in two different directions: a top-down approach that improves teacher capacity by disseminating information from universities and public sector organisations, or a bottom-up approach that supports non-governmental organisations in their efforts to reach students in the digital and physical spaces. In order to adequately address the decline of civics participation and political literacy, we cannot afford only to pick one – both approaches must work in tandem to ensure that every person is equipped with the skills and understanding to participate in civil society actively. Andrew Chen is a former UN Youth volunteer who developed an interest in evidence-based policy from his experiences with UN Youth. He worked on developing educational resources that help students engage with both internationally and domestically focused civics. He also founded the Diplomacy Competition, an online civics program that is accessible throughout the country and free for students. 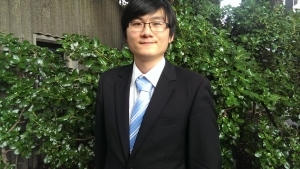 He is now a PhD candidate in Computer Systems Engineering at the University of Auckland.